When creating the previous Create Sketchy-Style Vectors tutorial, I created a number of brushes. I started playing around with the brushes and was happy with the results. I ended up create more of the brushes so I can distribute them. These brushes are great for creating sketchy or grungy vectors. Just apply the brushes to any path or object! Download the Illustrator file at the bottom of the post and open it in Illustrator. Use your Brush Tool (b) to draw shapes or apply a particular brush to any object by selecting the object and then selecting a brush from the Brush Panel. Try playing with the Stroke of the brushes for different results. 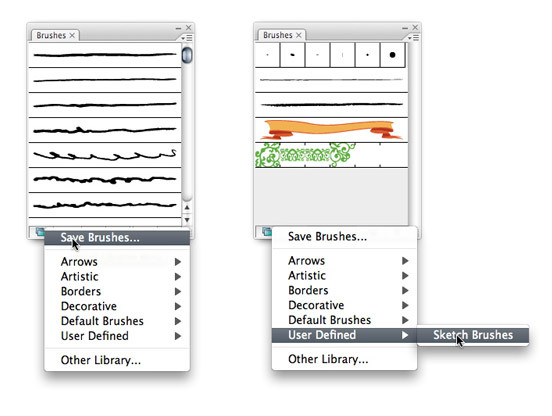 Below is some example uses of the brushes. You can also save the brushes so you don’t have to open the Illustrator file every time you want to use them. To save, click the bottom left pop up menu of the Brush Panel and select Save. Illustrator will default you to correct folder to save the brushes. To call up the brushes on a new document, click the pop-up menu of the Brush Panel and select the saved set from the User Defined option. This is awesome, exactly what I needed, thank you! I love the brushes however it seems like the attribute “use even-odd fill rule” was selected instead of “use non-zero fill rule” because if my path overlaps itself it inverts the color. I’m not sure if there is any way I can fix it on my ends because I believe it’s something you need to do before making it a brush? If you have a fix for this I would love the updated brushes! These brushes are excellent. Perfect for speech bubble outlines in a grungey-style cartoon page. Thanks! Thank you very much. It´s great. Do you guys have a .abr version of this brushes? Cause I really need one. Sorry I don’t, maybe someone else has converted it? how can i download these brushes? Thanks for the info! It’s great you shared this! How to download the brushes??? how to download this brushes? were i can find this brushes ??? Exclusivity with istockphoto?? One of the funniest things i’ve ever heard. Will these brushes be offered via iStockPhoto or any other avenue? I looked at your iStockPhoto link and didn’t see anything like this listed. Thanks! I still don’t have them up on iStock yet, but hopefully soon. I was wondering if anyone can hock me up with these brushes ! Probably not any time soon 🙁 Check out some of ColorBurned’s brushes as alternatives. Any chance of these being available for download again. Maybe even some of them? Thanks for sharing! Sincerely ! woah thanks a lot for this,its rad.i learned a lot so quickly XD! Thanks for sharing! They will save me time! I’m noticing, tho, that the brushes knock out color when lines overlap. For example, black strokes turn white where they intersect. Weird. I’m using Illustrator CS2. Try it again, I think it is fixed now. Yup, commercial use is fine. is it allowed to use these brushes for commercial illustrations? 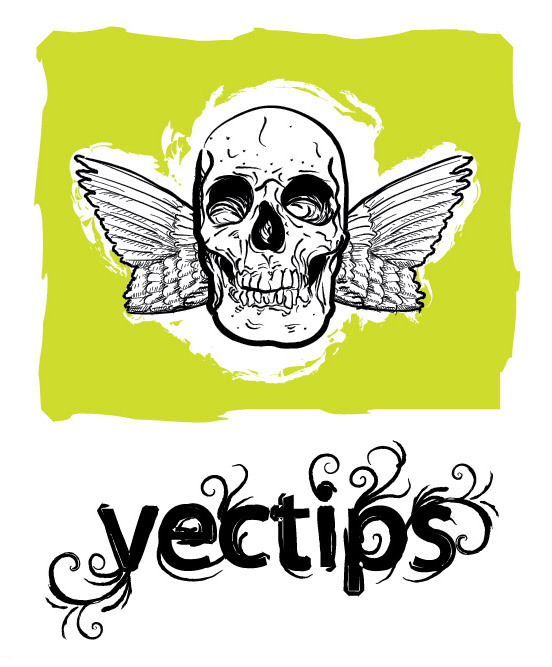 As you can see from the comment above, my tutorial Illustrate a Grunge Style Talking Skull in Vector is up. This tutorial will show you how to use some of these brushes in an illustration. Great brushes, Thank you so much for providing useful information, sources and educating us. Awesome brushes. Thanks for sharing them! Awesome brushes. Will definitely help on a few new things I’m working on. Tried to DL these brushes but keep getting a server error- is there a problem with the file or is it on my sire of things? Nice tutorial and brushes, as usual! Very cool brushes, thanks ! Very nice for that hand-drawn look. Thanks! Just exactly what i need for a project right now. thanks! Nice Brushes you have here! Thanks for the Brushes Rype! These are great!